The "politics of demonisation" provided fertile ground for human rights abuses in 2017, exemplified by the response of Europe and Donald Trump's US to the refugee crisis, and the shrinking of civic space in South Asia, rights group Amnesty International said on Thursday in its 2017 report. The British-based group in its annual report took particular aim at the US president's "transparently hateful" executive order banning entry to citizens of several Muslim-majority countries. The report, The State of the World's Human Rights, covers 159 countries and delivers a comprehensive analysis of the state of human rights in the world today. The report said that the year 2017 for South Asia marked the continuing shrinking of civic space as human rights defenders were publicly demonised. Freedom of expression was criminalised online as journalists, bloggers and activists were subject to intimidation, threats, smear campaigns, violence and enforced disappearances. 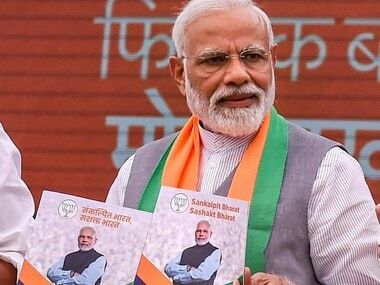 In South Asia, governments invoked law and order, national security and religion as they engaged in attacks against religious minorities, criminalised freedom of expression and subjected civil society to a campaign of intimidation, threats, smears and violence, the report said. “Over the past year, the region was marked by assaults on civil society. Journalists, bloggers, activists and others human rights defenders have been vilified and subjected to threats and violence. Meanwhile, online, invasive new cybercrime legislation has been used to criminalise freedom of expression and subject people to unlawful surveillance," said Biraj Patnaik, Amnesty International’s South Asia Director. “South Asia also remains one of the most dangerous regions to be a member of a religious minority. Muslims in India and Sri Lanka, Shi’as in Pakistan and Afghanistan, and Hindus in Bangladesh have all come under attack over the past year. In each case, the governments have either failed to protect them, been indifferent to their fate, or even encouraged a climate of hostility,” he added. In India, the report said, the authorities were openly critical of human rights defenders, feeding a climate of hostility and violence against them. Repressive laws were used to stifle freedom of expression, and journalists and press freedom came under increasing attack. "Several journalists and Human Rights Defenders also lost their lives. Freedom of expression in universities also remained under threat. Journalist Gauri Lankesh, an outspoken critic of Hindu nationalism and the caste system, was shot dead outside her home in Bengaluru by unidentified gunmen in September. Criminal defamation cases were brought against several journalists," the report said. "The home ministry said that it had refused to renew the foreign funding licence of the NGO known as People’s Watch because it had allegedly portrayed India’s human rights record in a 'negative light' internationally," the report added. Other South Asian countries—Pakistan, Afghanistan, Bangladesh, Sri Lanka and The Maldives—did not fare much better either as Violent attacks on journalists and human rights defenders continued. In Pakistan, enforced disappearances became more widespread and more frequent, taking into their sweep bloggers and activists from across the country. Violent attacks on journalists continued, including two reporters attacked in their cars. In Afghanistan, human rights defenders faced constant threats to their life and security. In June, at least four people were killed when police opened fire on demonstrators outside the presidential palace in Kabul. In Bangladesh, the authorities continued to crack down on peaceful dissent, including online expression. Criticism of the government, or the family of the prime minister, triggered criminal cases. In Sri Lanka, families attempting to arrange stones as memorials for loved ones lost during the 26-year internal conflict were stopped by security forces. Human rights defenders were subject to surveillance and intimidation. Women human rights defenders in the north and east reported that interactions with the police were often degrading and sexualised. In the Maldives, a popular political blogger and activist, Yameen Rasheed, was killed in April. In March, journalists from Raajje TV received death threats for their coverage of the King of Saudi Arabia’s visit to one of the atolls. Religious minorities across the South Asian region faced attacks from violent mobs while the authorities either failed to protect them, did not hold the perpetrators accountable, or even stoked a climate of hostility against them, the report said. 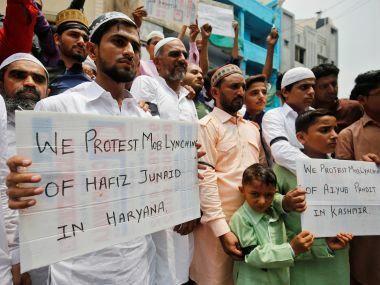 "In India, dozens of hate crimes against Muslims took place across the country against the backdrop of a wave of Islamophobia under the Hindu nationalist government. 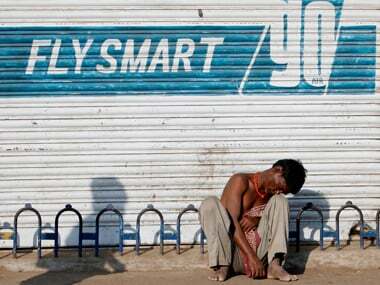 At least 10 Muslim men were lynched and many injured by vigilante cow protection groups," the report said. "Demonstrations against attacks on Muslims were held in several cities, but the government did little to show that it disapproved of the violence," the report added. In Bangladesh, in November, more than 30 homes belonging to Hindu families were ransacked, looted and torched in Thakarpara village in Rangpur. Sri Lanka saw a rise in Buddhist nationalist sentiment, including attacks against Christians and Muslims. In September, a group of hardline Buddhist monks attacked the homes of Rohingya refugees in Boosa, southern Sri Lanka. In Afghanistan and Pakistan, armed groups continued to attack religious minorities, with the bombings of Shi’a mosques on both sides of the border. The crisis in Myanmar and reported massacres of Rohingya Muslims are the consequence of a society encouraged to hate and a lack of global leadership on human rights, the report said. The human rights group said that “hate-filled rhetoric” by leaders was normalising discrimination against minorities. 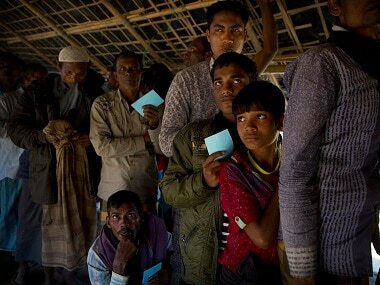 "We saw the ultimate consequence of a society encouraged to hate, scapegoat and fear minorities laid bare in the horrific military campaign of ethnic cleansing against the Rohingya people in Myanmar," said Salil Shetty, Secretary General of Amnesty. Amnesty said the international community had failed to respond robustly to "crimes against humanity and war crimes from Myanmar to Iraq, South Sudan, Syria and Yemen". It said that leaders in countries such as the United States, Russia and China were not standing up for civil liberties and instead were "callously undermining the rights of millions". The British-based group in its annual report took particular aim at the US president's "transparently hateful" executive order banning entry to citizens of several Muslim-majority countries. "Throughout 2017, millions across the world experienced the bitter fruits of a rising politics of demonisation," said the report, which was launched this year for the first time in the United States. It accused leaders of wealthy countries of approaching the refugee crisis "with a blend of evasion and outright callousness". Shetty singled out Trump for criticism, saying the travel ban "set the scene for a year in which leaders took the politics of hate to its most dangerous conclusion". The report also praised the #MeToo campaign for drawing attention "to the appalling extent of sexual abuse and harassment". But it warned that Internet giants were part of the abuse problem and that they had too much power in shaping narratives and propagating "Fake News". "The avalanche of online abuse, particularly against women, and the incitement of hatred against minorities, drew weak and inconsistent responses from social media companies and scant action from governments," it said. "These concerns are compounded by the extreme concentration of control in only a handful of companies over the information people view online." It added: "The capabilities deriving from this to shape public attitudes are immense, including virtually unchecked potential for incitement to hatred and violence." It said that the "willingness of prominent leaders to tout 'fake news'... coupled with attacks on institutions that act as checks on power, show that free speech will be a key battle" in 2018. "We must refuse to accept narratives of demonisation and build instead a culture of solidarity," it concluded.